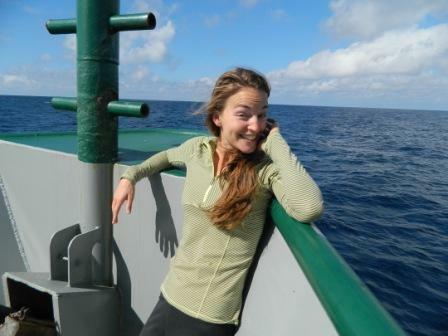 As the C-IMAGE February 2013 cruise comes to an end, here are some closing thoughts from our Chief Scientist, Leslie Schwierzke-Wade. 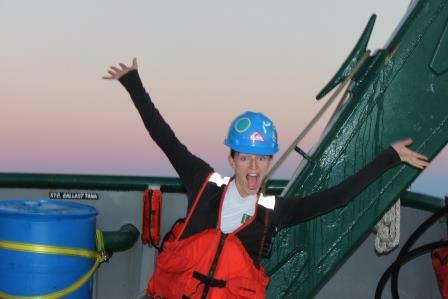 It is an absolute blast operating as Chief Scientist on Dr. Kendra Daly’s research cruises, especially when given the pleasure of working with an amazing team of scientists and crew. 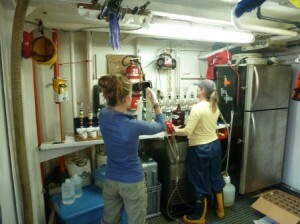 We had an incredibly diverse science party on board, including geological, biological, and chemical oceanographers, as well as two teachers at sea. This particular cruise, my 9th Deepwater Horizon oil response cruise, presented many challenges with equipment failures and rough seas, which ultimately shortened our expedition. However, thanks to the hard work of everyone on board, we managed to accomplish several of our science objectives, sampled majority of our targeted stations along the Panama City transect over the DeSoto Canyon, and collected many useful samples and data. 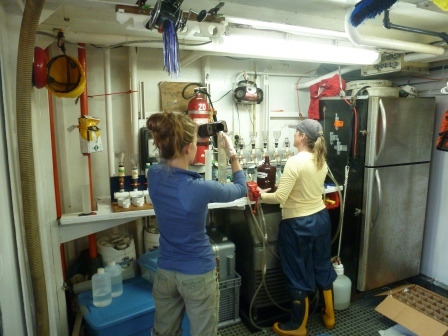 These research efforts will enable us to continue our assessment of the impacts of the oil spill on the northern Gulf of Mexico ecosystem, which focuses mostly on the lower end of the ocean food web (microbes, phytoplankton, and zooplankton). We will compare this data to those collected on previous cruises to evaluate temporal (over time) and seasonal changes in the water column and plankton populations. 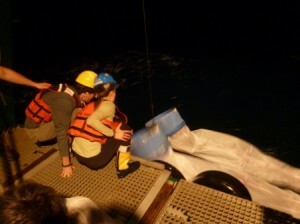 Thank you to Matt MacGregor and Teresa Greely for their outstanding job of sharing our story with those on shore. Print article This entry was posted by greely on February 19, 2013 at 9:51 am, and is filed under Oceanic Updates. Follow any responses to this post through RSS 2.0. You can leave a response or trackback from your own site.